Heartlands, a West Lothian development site, is one of the largest regeneration projects in Europe. A former coal mine, it has undergone a huge transformation in the last two decades but it’s only now that it is beginning to reach its full potential. 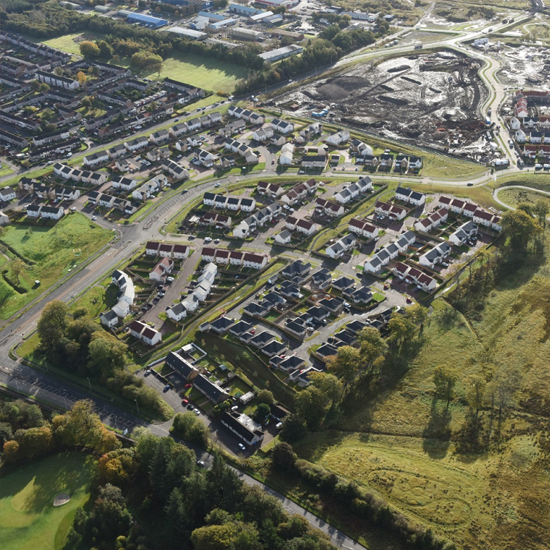 Green Town (Heartlands) Ltd, a development company of WElink Group, purchased the prime development site in the heart of Scotland’s central belt, last year. Since then, Heartlands, which has equal access to Edinburgh and Glasgow, has begun to see an acceleration in residential development interests and is beginning to develop a new community alongside Whitburn. ‘Heartlands is undergoing considerable change from derelict eyesore to a site which is seen as one of the prime redevelopment sites in Europe. We have an exciting and ambitious site development plan, worth £650m, that aims to see the creation of 2,000 diverse new homes, over 1.5 million square feet of commercial space, as well as retail and leisure facilities, all set in a lush green environment. And it’s not just the surrounding area that’s green ­– sustainability is well and truly at the heart of the development as well. Since Green Town Heartlands’ parent company WElink Group purchased the site, a number of well-known housing developers have chosen Heartlands to build new homes including Bellway Homes, Persimmon, Taylor Wimpey, and Allanwater Homes. “When we launched Heartlands we knew it had all the right ingredients for a successful development – a great location within easy commuting distance of Scotland’s biggest cities Glasgow and Edinburgh, a good selection of housestyles at competitive prices and excellent amenities within a short drive. In all, 207 homes are already built on Heartlands with a further 380 under construction or in planning. Heartlands is also strategically important to the redevelopment of the local area and for the local economy. A number of well-known commercial enterprises have recently enquired with Green Town about following businesses like Oil States UK – a world leader in oil and gas services, on the Heartlands Business Park with Eurogarages being the latest company to confirm a new development. Eurogarages confirmed this month they are to develop one of their world class forecourts that include fuel, a convenience store, and food and drink offering at Heartlands. “Heartlands is an important development site, and has a key role to play in delivering new homes and jobs for West Lothian. For details of the residential sites contact Justin Lamb Associates on 0131 225 3588 and for details on the commercial sites available contact Colliers International 0131 240 7522. WElink Group – is an international provider of renewable energy and low-carbon construction solutions. 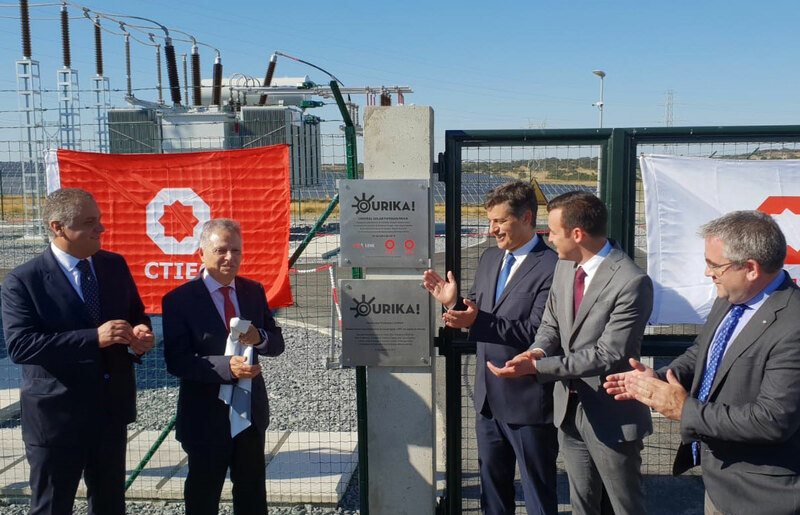 Founded in 2007, WElink’s roots are in renewable energy with extensive experience of solar project development around the world. With offices in 9 countries WElink of today has evolved into a leading innovator, developer, financial aggregator, and facilities manager of modern, energy efficient modular construction working in collaborations with the world’s leading building materials company, China National Buildings Material (CNBM). We’ve combined our success in renewable energy to create modern building structures and community dwellings which are not only low-carbon and efficient in their construction but low-carbon and efficient in their application and operation. WElink currently operates in the UK, Europe, South America, and Asia. In just over 70 years, Bellway has grown from a small, family-owned firm to one of the most successful house builders in the UK. Today we directly employ more than 2,000 people and have earned an enviable reputation, built on the pillars of quality, service and trust. Based in Blackburn, Euro Garages was founded in 2001 by brothers Mohsin and Zuber Issa with the acquisition of a single petrol filling station in Bury, Greater Manchester. Since then, Euro Garages has established itself as one of Europe’s leading petrol forecourt and convenience retailers. Alongside an innovative approach to roadside retail property, Euro Garages has forged high-profile relationships with nationally and globally recognised retail and convenience brands. We are committed to providing excellent customer service, good value products and a wide range of facilities, and customers have come to expect high standards from all of our forecourts and retail sites. Passion for quality, convenience and customer service is at the heart of Euro Garages.